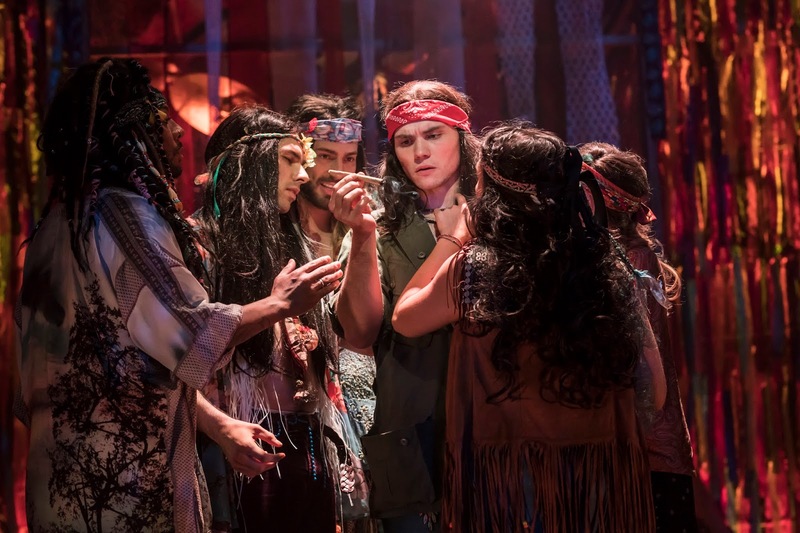 Having first premiered in 1967, Hair doesn't have much of a story but focusses on hippies, LGBTQ+ rights, Black Live Matter, women's equality, the anti-war movement, freedom and so much more. Despite being a piece of it's era, these are issues and themes which resonate with a contemporary audience. The book loosely follows a group of hippies in New York City as they navigate life and their political views during the Vietnam War. More of a think piece and political statement, than a story, Hair successfully shows insights into real life struggles and celebrates living. This revival which began at the Hope Mill and continued to become a semi-immersive experience at The Vaults, is now a vast production. This transfer in venue size means the show has lost some of it's authenticity and spark but retains its exciting, enthusiastic performances and energy. 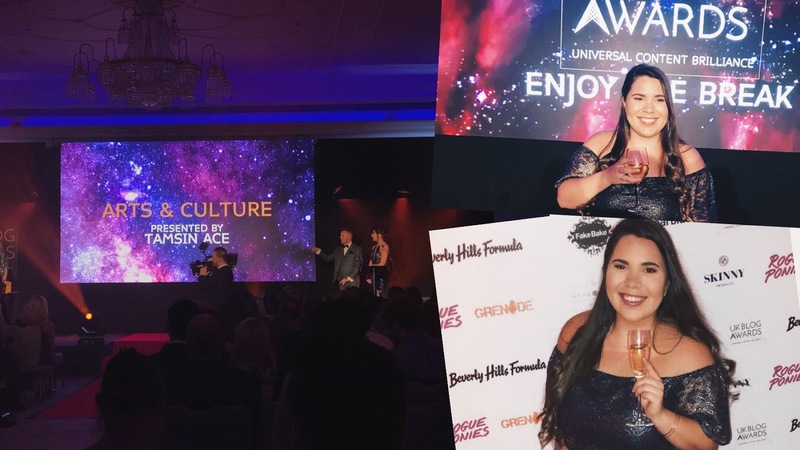 Natalie Green is the absolute stand out of the cast as she provides killer vocals; both belting her face off and providing glorious soprano moments. Natalie also showcases her supremely versatile acting with a number of accents and personas which are all faultless and she gives an entirely wonderful and memorable performance. Kelly Sweeney also gives a fantastic performance in her solo moments as Crissy. After Unexpected Joy its great to see Kelly continuing on what's sure to be an outstanding career. Superb vocal moments are delivered by Alison Arnopp and Marcus Collins. As Woof Bradley Judge is well developed and entertaining to watch. This is an intrinsically ensemble piece, with the whole cast banding together to really create the tribe, and bring the "haggle of hippies" together. Within the ensemble, Jake Quickenden and Paul Wilkins take the lead with agility and energy. Wilkins especially, gives a performance which the audience can really invest in, as his character Claude struggles with being himself and fitting societies expectations. Quickenden gives a commanding performance but lacks the oomph to really own the stage at times, however his vocals are strong and he'll surely only get better as he relaxes into the role. 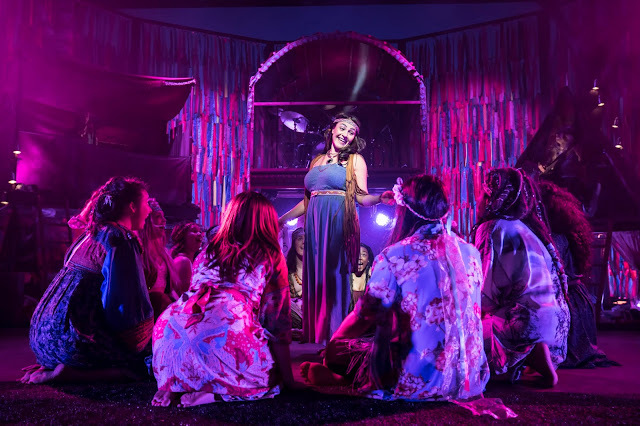 The hippie commune and various hallucinations are brought to life marvellously by Ben M Rogers' lighting which is vibrant, contrasting and superbly done. William Whelton's choreography is loose and well done, with the tribe effectively becoming one at times. The theatre is bright and hallucinatory thanks to Maeve Black's set and costumes. Streamers adorn the stage in an in-your-face manner that is dynamic and impressive. Whilst it does drag a little, Hair is an easy watch that thrills the eyes and ears and remains relevant to this day. Outstanding performers make the most of a limited book and play to the theatre almost as if they're in an intimate space. 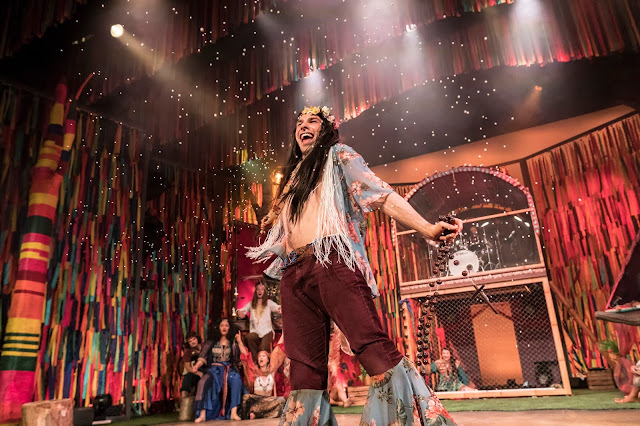 Despite not being as revolutionary as it was fifty years ago, Hair is still an exciting piece of theatre and the rousing chorus of 'Let The Sunshine In' is enough to leave you feeling free and uplifted. Hair runs at the New Wimbledon Theatre until March 30th before continuing its tour.